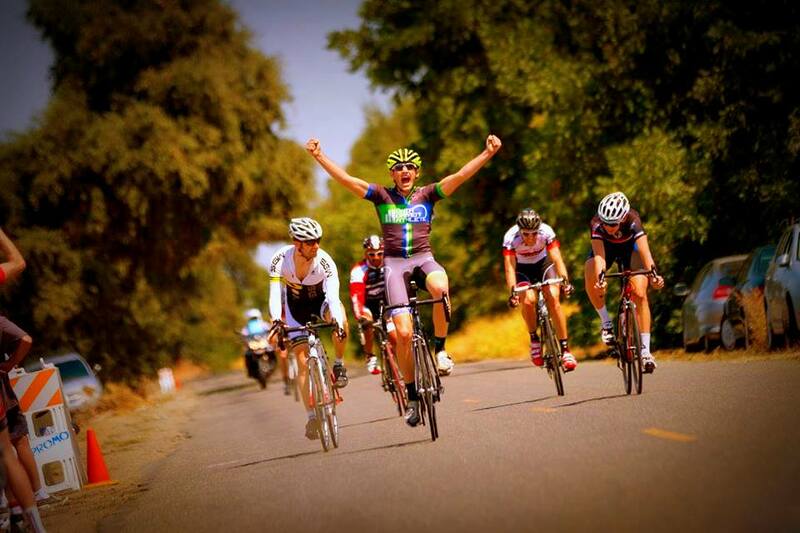 The 2013 amateur cycling racing season in NorCal was a great experience and a fun time. At my advanced age I have the ability to reminisce on the “good ole days” when I could train all day and race. But this year was truly one of the more enjoyable seasons of racing I’ve had. The team started the season with several podium placings but no wins. The early season racing is interesting because the road races are not too difficult and with no real climbing. When I say “not too difficult” I don’t mean they are a breeze, I just mean that with the winter training I did and the flat course profile, I can get to the finish with the group feeling pretty good. To prove this point, usually the entire field is coming to the line for a massive sprint too showing further that the race likely wasn’t difficult enough. The criteriums are much the same as the road races where the routes are fast and quick and no hills to make the race break the riders down and split the fields (those races show up in mid summer). Therefore the early season racing lent itself to mass sprint finishes and not the lone break-away or climbing terrain our team thrives on (the “team” thrives on, not me). Around the middle of the summer here in California the weather started to get hot. Yeah, it’s California and that happens. We had been battling these mass sprint finish races and finally the events on the cycling calendar started to include uphill racing. A big focus of the season came as a two-day race Omnium in Loomis and Auburn with some nasty climbing in a short circuit race and criterium. The heat was melting the pavement and Curt Mills came out hotter than the sun with a dramatic win in the Auburn Criterium after a solid close 2nd in the Montserrat Circuit Race the day before. 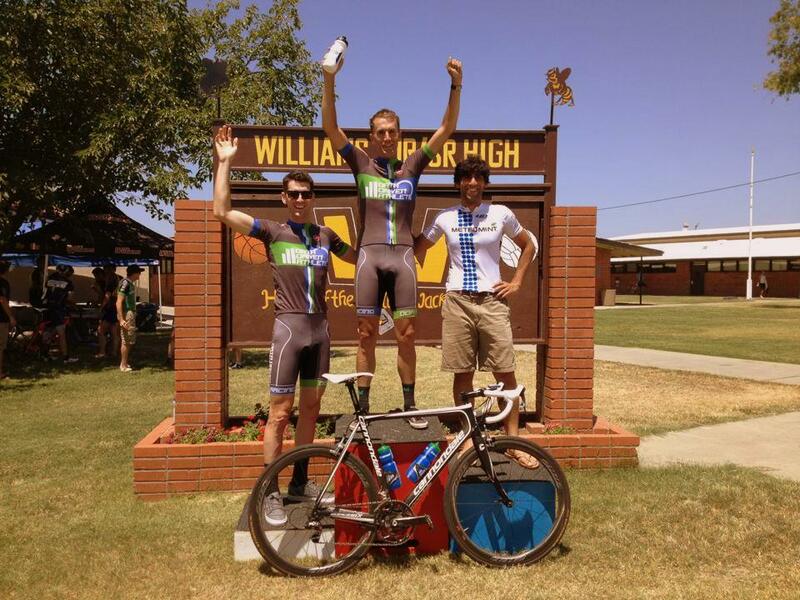 Curt won the crit from a breakaway which also gave him the overall win for the weekend. The floodgates were open for winning and our team’s ticket was punched for a ride to the top step on the podium. Our team then headed into Lodi for a criterium and the heat was still stifling at well over 100 F. We had a solution in the form of ice-socks in our jersey pockets and around our necks in an effort to keep our core temperature down. Personally, I think this scientific, yet crude method, worked like a charm and made the day’s racing quite easy. I saw many riders just quit due to the heat and overheard several afterwards saying how difficult it was. But with my ice socks melting around my neck, back and legs I felt just fine and was never in difficulty. We got Andrew Shimizu into the break of 3 that day and the rest of the team put the brakes on the field that was seemingly more stifling than the heat. Andrew got a close 2nd at Lodi and everyone felt ready for the upcoming onslaught for the rest of the year. Andrew continued his stellar riding with a very strong 5th place at one of the best (and long running) races in Northern California – Nevada City Bicycle Classic. Nevada City boasts a list of winners such as Greg Lemond and Lance Armstrong…maybe a Data Driven Athlete rider will be on that list someday too. Curt 1st and Casey 3rd. While I messed up the sprint in the last corner of the Davis 4th of July Criterium, the team was awesome the whole day with numerous laps off the front in our selfless attacking style. The last lap was amazing with Casey Fallon drilling the front of the field to line me up for the sprint finish – which I botched in the last corner. But Curt, Casey and the rest of the team took that momentum into the road race at Leesville Gap with Curt taking the overall win and Casey a close 3rd. The majority of the team headed to Bend Oregon for the Cascade Classic and we had mixed results. The worst of it was Andrew crashing twice in as many days requiring stitches on his chin. Tough lad. Casey managed a top 10 in the Time Trial but no one was able to crack the overall. This race is a major target on the racing schedule for our team in 2014. But from our recent success from Curt, the winning was infectious and soon Eric Brickler decided it was time he showed his form. From here, it didn’t matter if the racing was a flat crit, road race or hilly terrain, we started sticking it to the competition with Eric taking win after win and finally accumulating enough wins and points to gobble up the California Cup competition. Curt Won another circuit race in Folsom Cyclebration (solo off the front) and Casey got a huge 2nd with the Folsom Cyclebration TT but narrowly missed the win at the difficult Winters Road Race by having a pedal malfunction in the last few meters of the sprint. I was able to finish the season on a high note with a few hard fought top 10’s at Dunnigan Hills RR, Giro di’ San Francisco and finally a 3rd at Folsom Cyclebration Crit during the weekend long Omnium event. The team stepped up its support for the Cyclebration Circuit Race (as the last of 3 stages for the Omnium) and helped me win a bonus sprint prime and then hold onto a tie for 2nd overall in the Omnium. The tie-breaker went to Garrett Marking who had won the TT on the first day giving me a solid 3rd overall – all thanks to the great work of the team. Curt decided he wasn’t done and won again in Oakland to close out the season on a very high note. Data Driven Athletes biggest win of the year however was undoubtedly the live donor liver transplant to the owner of Data Driven Athlete – Nate Dunn. With only having one race under his belt in 2013 (Cal Aggie) Nate had to give up his racing and instead focused on coaching, directing the team and getting a transplant. With the transplant successful in September, Nate has overcome huge difficulties to be back on the bike this year and looks like he hasn’t missed a beat. I am amazed at the ability of the human body to heal and get stronger but even more impressed with the desire and determination Nate’s mind has given him in his drive to return to form. If you want to get involved in helping to save a life, become a donor yourself. It’s easy – check the Donate Life California website for details. 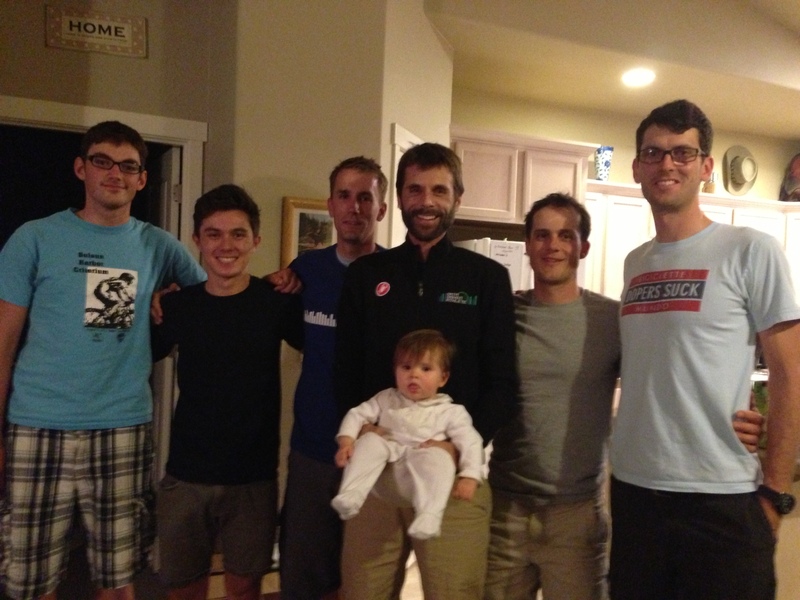 Racing in 2013 was a blast and I am very excited for the upcoming 2014 racing with my good friends, who are more like family than teammates.